Texas Military Institute Episcopal School of Texas. Image available on the Internet and included in accordance with Title 17 U.S.C. Section 107. James Steptoe Johnston. Courtesy of TMI The Episcopal School of Texas. Image available on the Internet and included in accordance with Title 17 U.S.C. Section 107. 1928 Graduates of the Texas Military Institute, San Antonio. Courtesy of the San Antonio Academy of Texas. Image available on the Internet and included in accordance with Title 17 U.S.C. Section 107. 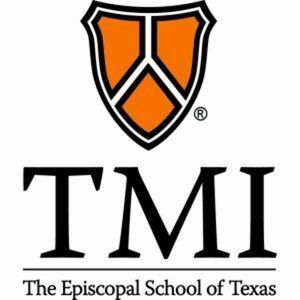 TMI-The Episcopal School of Texas. Image available on the Internet and included in accordance with Title 17 U.S.C. Section 107. TEXAS MILITARY INSTITUTE, SAN ANTONIO. Texas Military Institute, a private Episcopal college-preparatory school in San Antonio, was established in 1926 with the consolidation of San Antonio Academy, founded in 1886, with West Texas Military Academy founded by Bishop James S. Johnston in 1893. For the first six decades of its existence, TMI was located in Alamo Heights. On August 28, 1972, the school, which is under the auspices of the Episcopal Diocese of West Texas, became a coeducational institution. In March 1989 the school moved to its present site at the Alkek Campus on fifty-five acres in the Texas Hill Country on the northwestern city limits of San Antonio. The school held centennial celebrations in 1993, and Mark D. Desjardins became the headmaster in June 1999. In 2001 TMI employed thirty-six full-time teachers and had a student body of 314 day and boarding students. The school offered classes for grades six through twelve. That year 198 of its student body were enrolled in the high school. Facilities include the Coates Academic Building, an administration building, six small dormitories, two gyms, an indoor pool, tennis courts, and several athletic playing fields. Admission is based on past school performance, recommendations, and a personal interview by an Admissions Committee. Graduates of TMI complete a twenty-three credit course that includes four years of English and three years each of mathematics, science, and history and government. Students are also expected to complete two years of physical education and three years of a foreign language. Rounding out the curriculum are courses in religion, fine arts, computers, and economics. The Independent Schools Association of the Southwest currently extends accreditation to TMI. The campus expanded during the 2000s to include new residence halls and All Saints Chapel. John W. Cooper became headmaster on July 1, 2011, and was succeeded by Scoot J. Brown in May 2017. Hans Peter Nielsen Gammel, comp., Laws of Texas, 1822–1897 (10 vols., Austin: Gammel, 1898). William Franklin Ledlow, History of Protestant Education in Texas (Ph.D. dissertation, University of Texas, 1926). Handbook of Texas Online, "TEXAS MILITARY INSTITUTE, SAN ANTONIO," accessed April 22, 2019, http://www.tshaonline.org/handbook/online/articles/kbt19. Uploaded on June 15, 2010. Modified on September 15, 2017. Published by the Texas State Historical Association.